Keeping your mouth happy and healthy shouldn’t have to feel like a chore. It should be second nature. Think about it: from the time you were a tyke, you should have been taught how to properly brush and floss your teeth. Some patients have the process down pat, others find themselves struggling with keeping up with their dental regimen. A rare collection of patients doesn’t properly care for their teeth at all. You don’t want to become one of “those” patients. Not caring for your teeth is just plain dumb. Putting your smile at risk of contracting a disease will increase the likelihood of more problems arising, including losing your teeth altogether. You like your teeth, right? We like teeth, too. We like them so much that offering advice on how best to care for them is what we enjoy doing. An educated patient is an informed patient. 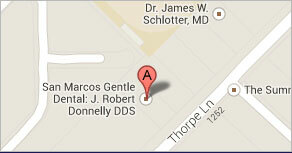 When you visit our office in San Marcos, TX, you’ll receive the best dental care from San Marcos dentist Dr. Robert Donnelly and Dr. Gregory Wang. Cavities: Did you know tooth decay is the second most prevalent disease after the common cold? 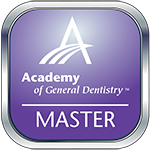 Regular brushing and flossing can help keep cavities at bay, in addition to dental sealants and fluoride treatments. If you’re a fan of sugary treats and drinks, we have bad news: you might want to curb your sugar addition. Sugar is enamel’s worst enemy, and can contain enamel-harming acid. 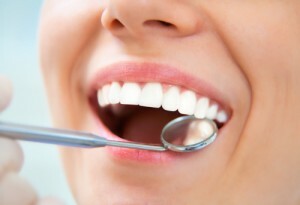 Gum disease: When your gums are on the decline, the rest of your smile suffers. Preventing gum disease is quite simple, but the power is your hands. Floss once a day and brush twice a day with a soft-bristled toothbrush. If you use an electric toothbrush, just make sure the bristles are soft. We also recommend getting a professional cleaning twice a year. It’s better to be safe than sorry, right? Clenched jaw (TMJ): Grinding your teeth or clenching the jaw is the most common cause of TMJ. It isn’t just a sore jaw you have to deal with, either; gum disease, tooth erosion and cracked teeth can be caused by excessive grinding. Our mouthguards reduce the pressure on your teeth and jaw so you can enjoy living in comfort. Dr. Donnelly and Dr. Wang are the dentists New Braunfels and other residents can trust to treat common dental health issues. Our office in San Marcos, TX is pleased to staff dentists Wimberley, Redwood, Hunter, Martindale, and other residents can appreciate for their experience and professionalism. We can’t wait to see you!